A family rediscovers its Christmas spirit after an unlikely enounter with one of the greatest Santa’s ever. Christmas Must Be Saved! This is the timeless and hackneyed theme of most Christmas Movies, good and bad. From iconic classics like The Miracle on 34th Street, to horrible dreck like Santa and the Ice Cream Bunny, Christmas MUST be saved! 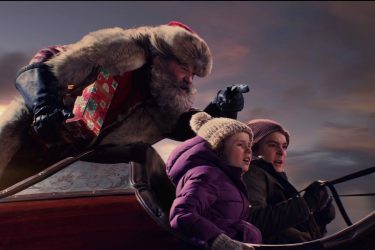 This time, we don’t have the bumbling Ernest or the magnificent Death saving Hogswatch (Christmas), we have the always great Kurt Russell as our hero. This film presented me with a great dilemma. How can I hate a movie starring Kurt Russell, a movie in which he was magnificent? He was gruff, but lovable, and at his best when he was winging it around Chicago. This was after a mishap with his sleigh, causing the loss of his magical reindeer. Can even Kurt Russell overcome Christmas movie mediocrity? The setup showed scenes from Christmas Past, where the Christmas loving patriarch was enjoying Christmas with his family. Christmas Present showed a sadder scene as Doug was no longer with his family, having lost his life in the line of duty as a firefighter. The family was understandably without its former Christmas mojo, but the young daughter Kate (Darby Camp) still believed! Her older brother Teddy (Judah Lewis) ridiculed her belief in Santa and her attachment to an old camcorder. He quickly came on board, however, when he saw her photographic evidence of Santa delivering gifts. They set up the camera for more evidence, and waited into the night for Santa to arrive. As you might imagine, things went wrong, as the two brats stowawayed on the magical sleigh and caused it to crash. Santa lost it all, his reindeer, his magical hat and his magical sack of gifts and goodies. In order to save Christmas, the missing items must be found, and the sleigh repaired in time for Santa to make his rounds. He reluctantly agreed to let the two kids be his helpers. Another memorable scene was when Santa was incarcerated after a failed car-jacking. His sleigh was gone, so he needed wheels. Anyway, while in the clink, Santa decided to summon up some of his magic and the cell was transformed into a concert stage. Inevitably you had Santa, with various ho’s and riff-raff, belting out a Blues version of Santa Is Back In Town. In a fun scene, we had Kurt Russel on the mic and the great Steven Van Zandt (Silvo/Sopranos -Guitarist E. St. Band) in a cameo. The elves sprang Santa, and armed again with his magical cap, he busted out of the jail in a shower of fire and sparkle. Let’s be honest. This movie pulled all the typical Christmas cliches and tropes. The CGI effects were average to sub-par and the plot was predictable. I know, I know, we have seen all this before. 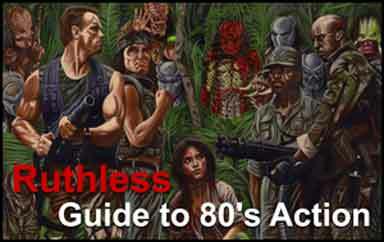 This would be enough in most cases for me to throw the bah-humbug flag on this Netflix exclusive. Most of the time, even a superstar actor is not enough to rescue a failing film, but we are talking about Kurt Russell here! Not only did he single-handedly rescue The Christmas Chronicles from the perils of Christmas movie redundancy, he made it watchable and actually enjoyable. 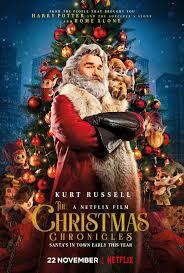 Kurt Russell looked great as Santa and perfectly toggled his character between gruffness and compassion. This one is worth a watch as Russell overcomes mush and mediocrity. 7.0/10.0 With The Goatesian Seal Of Approval because of the great Kurt Russell.